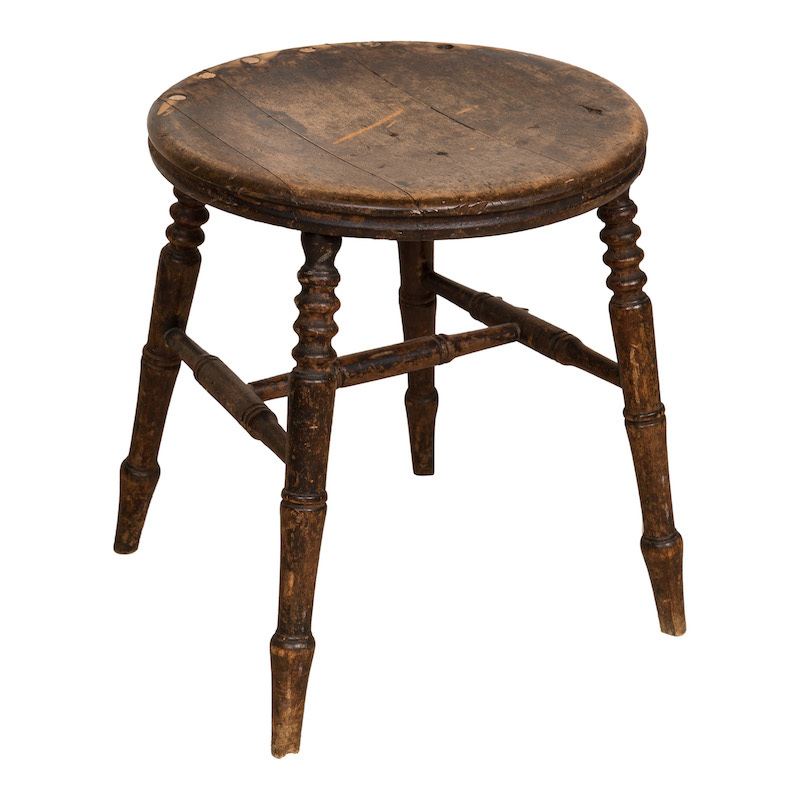 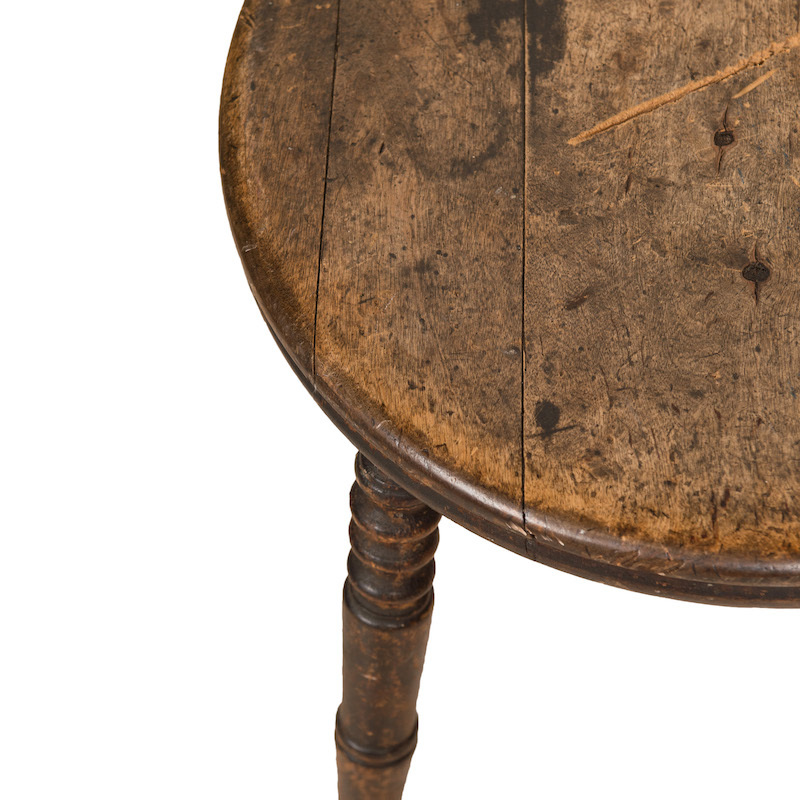 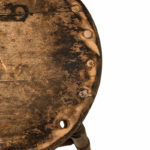 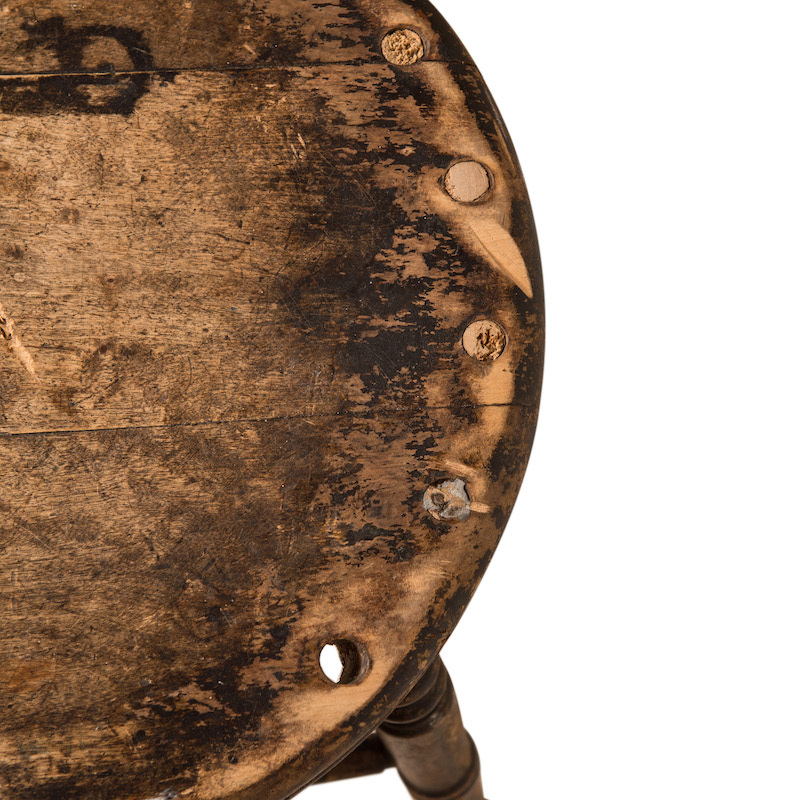 Antique stool with a dark wood stain. 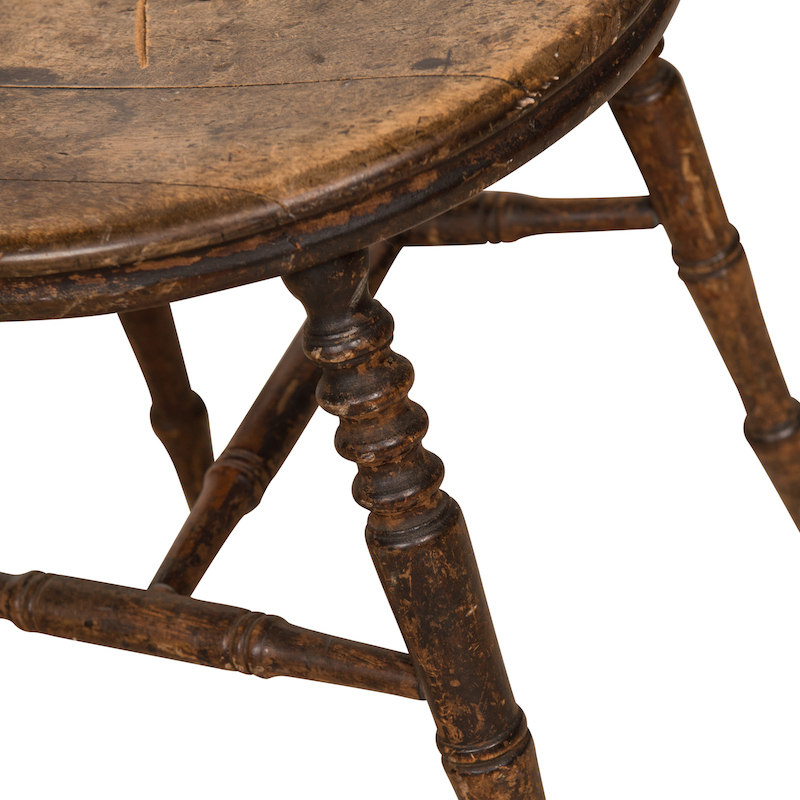 Originally a chair with spindles. Great option for a backless dining seat.